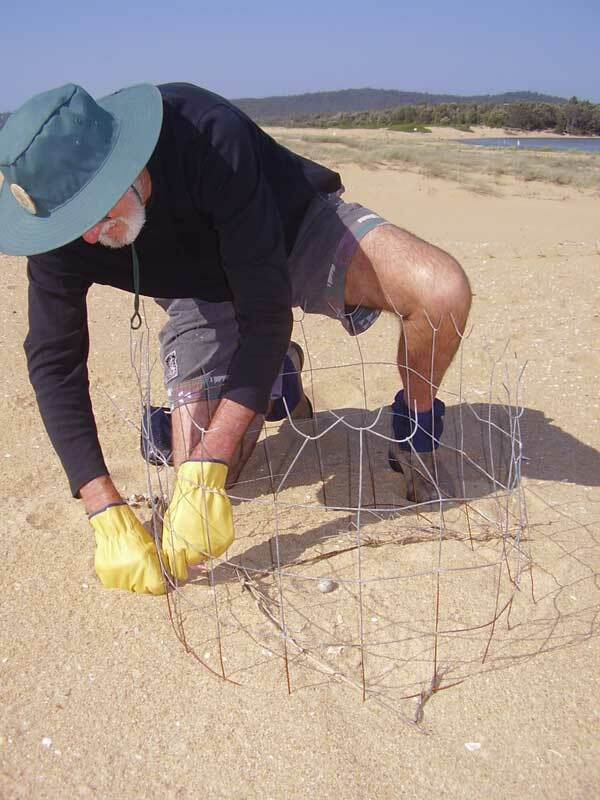 The South Coast Shorebird Recovery Program was established in 1999 by the NSW National Parks and Wildlife Service (NPWS), to reduce the rate of decline of threatened shorebirds and recover populations by enhancing breeding success. Note: Scroll down for our Library of Newsletters. 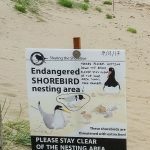 • undertaking habitat protection and management actions to alleviate identified threats, such as physical protection of nest sites, signage, fox control, water inundation management and chick protection. 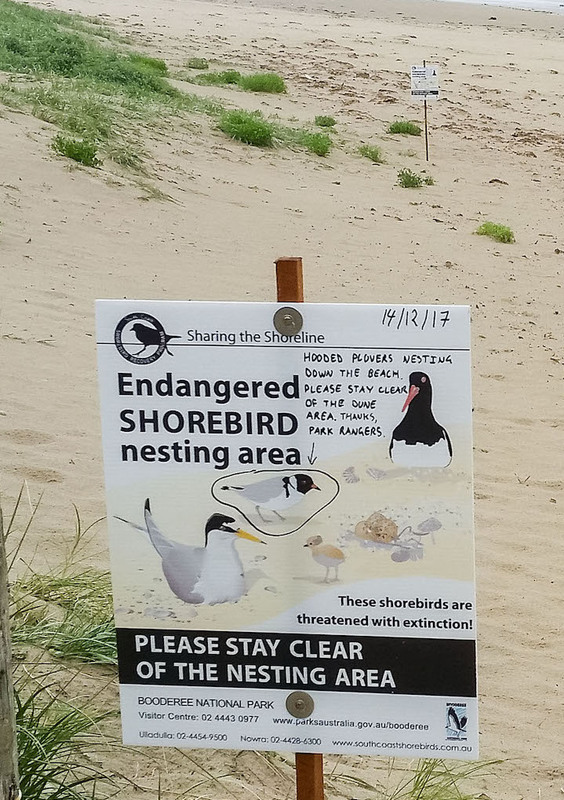 This program also conducts a broad-scale public awareness campaign annually to raise public awareness of the conservation status, recovery efforts, habitat importance and the biology of threatened shorebirds through publicity, media and active community involvement. 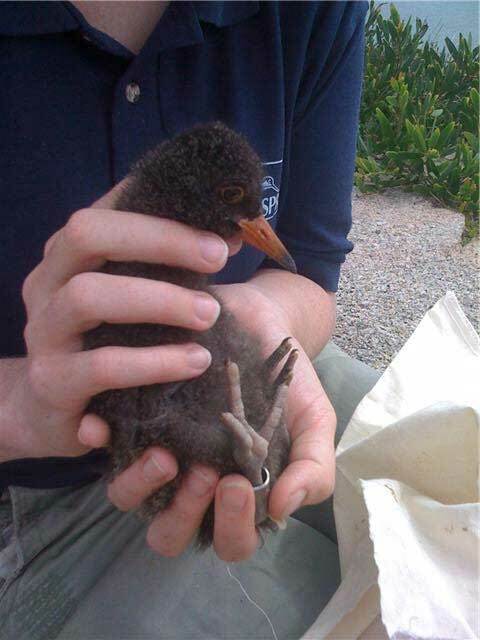 To ensure that this important program is implemented effectively and efficiently two Shorebird Recovery Coordinators are employed by the NPWS on a full-time basis from October to March. Their role is to coordinate the implementation of recovery actions during the breeding season and to report on the results. Communicate with them through the Contacts page. One Coordinator works out of the Ulladulla NPWS office and covers the South Coast Region from Wollongong to Batemans Bay. A second coordinator works out of the Narooma NPWS office, covering the Far South Coast Region from Batemans Bay to the NSW/Victorian border. Since its establishment, this program has developed strong partnerships between the DECC, other state and government agencies (e.g. Department of Lands, Livestock Health and Pest Authority (formerly Rural Lands Protection Board “RLPB”), local councils), local environment groups (e.g. Eurobodalla Natural History Society, Far South Coast Birdwatchers, Eurobodalla Landcare) and individual members of the community, including over 100 dedicated volunteers.